ISLAMABAD (AP) — Pakistan ordered 18 international aid organizations to close, threatening the assistance they provide to some of the country’s most vulnerable, international aid workers said Friday. The majority of the shuttered aid groups are U.S.-based, while the remainder are from Britain and the European Union, according to a government list, which was seen by The Associated Press. Caught in the latest order to close are aid groups such as World Vision U.S., Catholic Relief Services U.S., International Relief and Development U.S., ActionAid U.K., and Danish Refugee Council, Denmark. There was no official explanation from the new government and there was no response to queries about the closures from the Interior Ministry, which issued the order. The Information Ministry and Foreign Ministry also did not respond to the AP requests for comments. The organizations have been given 60 days to wrap up their operations, said Imran Yusuf Shami, country director for Plan International, whose organization was told its registration had been denied. Headquartered in Britain, Plan International is a global organization that focuses on education and child rights. Shami said the closures will hurt hundreds of thousands of Pakistan’s neediest people. We have been asking the government why they want us to close but neither us nor anyone else has been given a reason,” Shami said in a telephone interview. Muhammad Amir Rana, director of the Islamabad-based Pakistan Institute of Peace Studies, said the crackdown is part of a government-orchestrated effort to stifle critical voices. He said government opposition to international aid groups has its roots in the 2011 U.S. Navy Seal operation that killed Osama bin Laden in Pakistan. At the time a Pakistani doctor, Shakil Afridi, used a vaccination scam in an attempt to identify Osama bin Laden’s home, aiding U.S. Navy Seals who tracked and killed him, later dumping his body in the Arabian Sea, according to reports at the time. Afridi, who used a fake hepatitis vaccination program to obtain DNA samples from bin Laden’s family as a means of pinpointing his location, has been in jail in Pakistan since 2011. He reportedly said he was working for an NGO to gain access to the bin Laden compound. 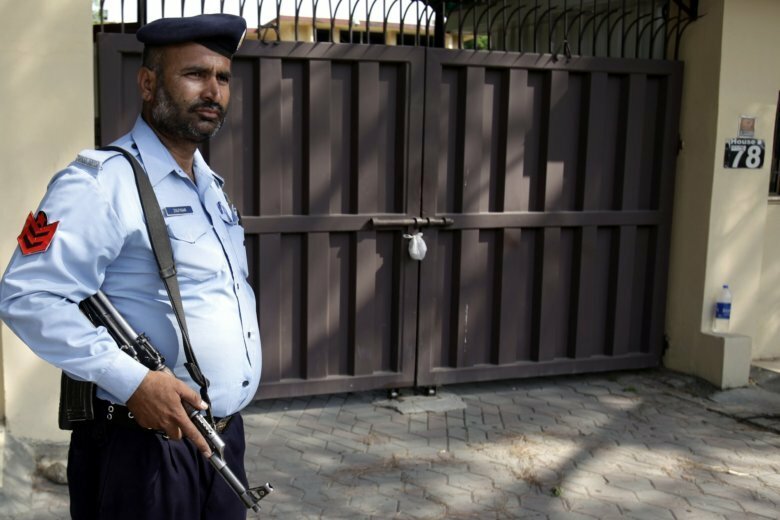 Since then the Pakistan government, as well as its powerful intelligence agency and military, has looked suspiciously at a host of NGOs accusing some of using their status as charitable organizations to spy on Pakistan. Citing “intelligence reports” the interior ministry in 2015 instituted stricter more detailed online registration applications for NGOs. Since then, scores of NGOs in Pakistan have been negotiating with the government. Dozens have already been barred, several have left and others are still petitioning the government to accept their request for registration. Shami said Plan International employs dozens of people, all Pakistanis, and aids tens of thousands of the country’s poorest, often partnering with the government on water and sanitation projects and disaster management. Meanwhile Afridi, the doctor whose scam vaccination program launched this crackdown, still languishes in jail as the United States continues to call for his release. It wasn’t immediately clear how many of the 18 NGOs targeted in the latest crackdown will appeal further or if there is even another appeal available to them.